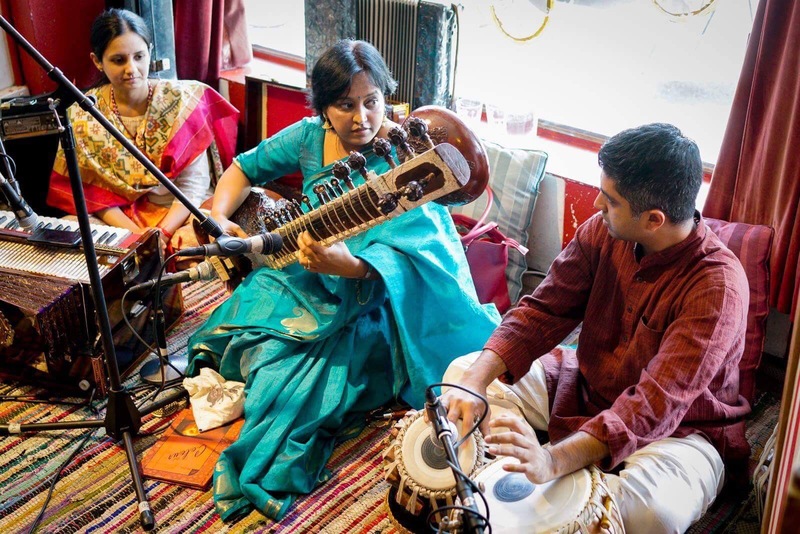 Sharing some photos of yesterday afternoon’s performance with Dr Sarita McHarg, eminent sitar player and folk singer from Ujjain. 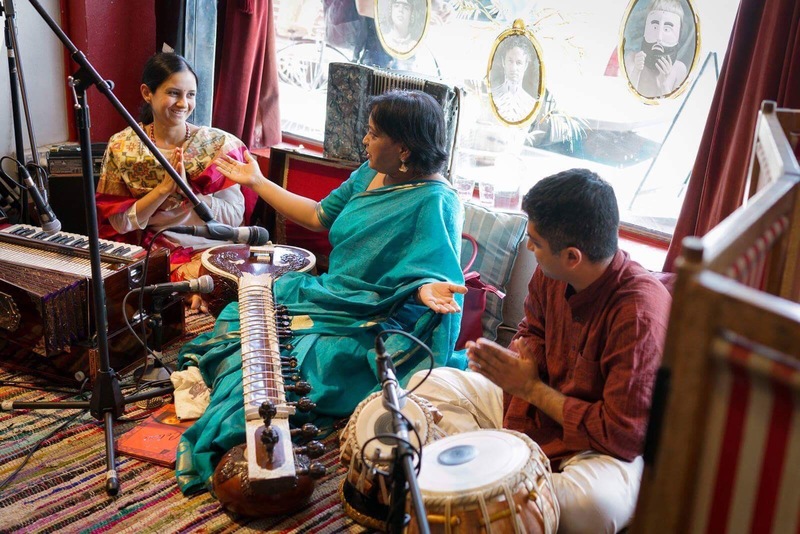 My friend Mrs Pratima Shankar was recruited at the eleventh hour to provide harmonium accompaniment. Performance was held at the Open Studio in Northcote, an intimate venue which turned out to be a pretty ideal setting for this type of music. 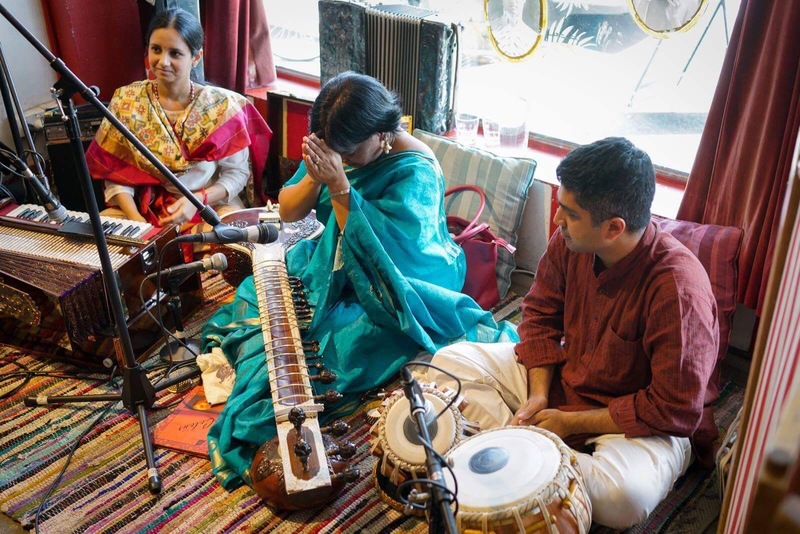 We followed with a lovely Khayal in Raga Madhuwanti sung by Pratima-ji (I switched to my A# tabla for this). I am a big fan of Khayal vocal and Pratima-ji did a fantastic rendition which left me and I hope the listeners spellbound. When I myself become lost in the music then tabla accompaniment seems to just be happening by itself in the background. This is a lovely feeling. 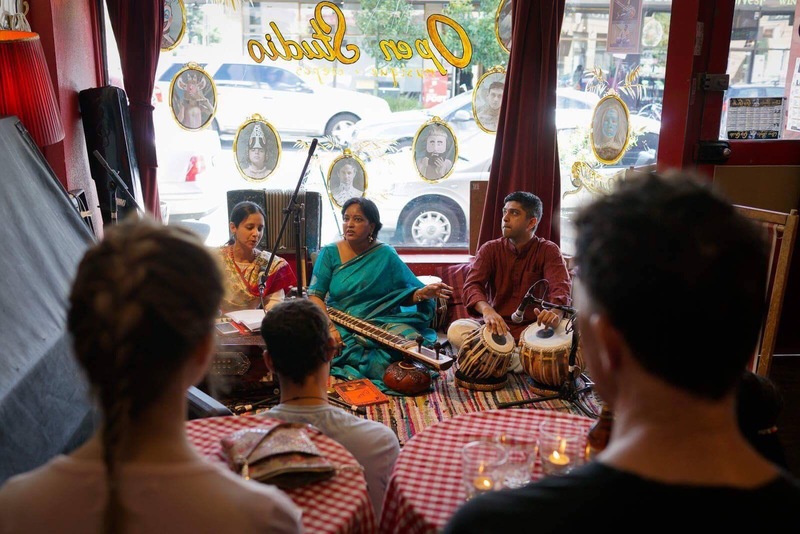 There was a moment when Sarita-ji joined in and the two of them sang the bandish together as a duet, it’s hard to put the resulting feeling into words. 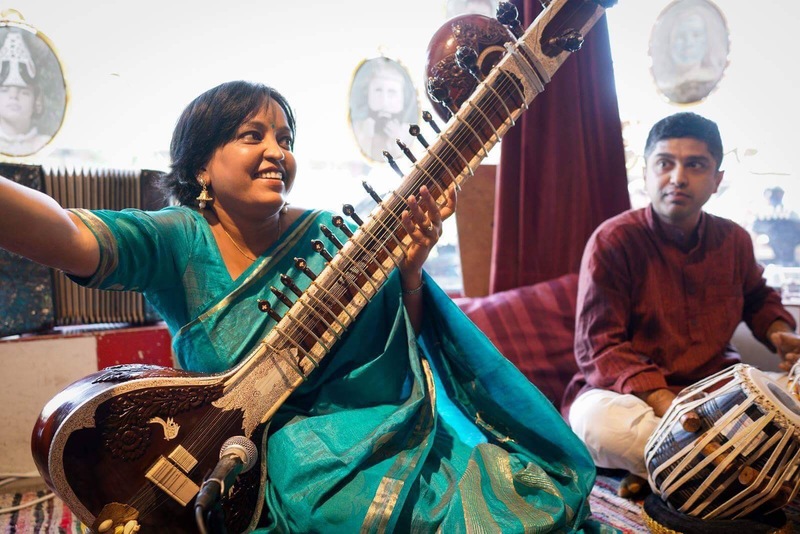 Sarita-ji concluded the afternoon by performing the same raga Madhuwanti on sitar, giving the listeners a taste of both a vocal and instrumental rendition of the same raga. I really enjoyed this rendition too, especially the drut and jhalla portion which Sarita-ji maintained for a good length of time. That was real “trance music”… ! Enjoyed the performance and look forward to more opportunities to perform with such wonderful musicians in future.